Dexus' quarterly portfolio report revealed 58,788 square metres of office space was leased across 74 transactions over the quarter to 30 September 2017, reducing Dexus’s FY18 expiries from 7.2 per cent at 30 June 2017 to 5.9 per cent. Dexus' Kevin George said much of their result was due to robust activity in the Sydney and Melbourne office markets. "Average incentives increased in the three month period, reflecting leasing undertaken in Brisbane where we have recorded incentives in the low 30 per cent range compared to Sydney and Melbourne which recorded 13.5 per cent and 19.2 per cent respectively," he said. [Related reading: Dexus Announces Sydney and Melbourne Acquisitions]Notable activity during the quarter included securing heads of agreement across 7,160 square metres at 385 Bourke Street, Melbourne, and leasing 4,363 square metres across four transactions at 45 Clarence Street, Sydney. Dexus also leased 3,073 square metres across six transactions at 56 Pitt Street, Sydney. Occupancy (by income) increased to 97.5 per cent from 97.2 per cent at 30 June 2017 across the total office portfolio, while the weighted average lease expiry reduced marginally to 4.6 years. Over the quarter, 43,114 square metres of industrial space was leased across 28 transactions, reducing Dexus’s FY18 lease expiry from 8.6 per cent at 30 June 2017 to 6.4 per cent. Dexus also secured Kalari Transport as a new tenant across 17,696 square metres at Gillman in Adelaide, 16 leasing deals across 7,394 square metres at Axxess Corporate Park, Mt Waverley in Victoria and two tenants across 6,420 square metres at 30 Bellrick Street, Acacia Ridge in Queensland. 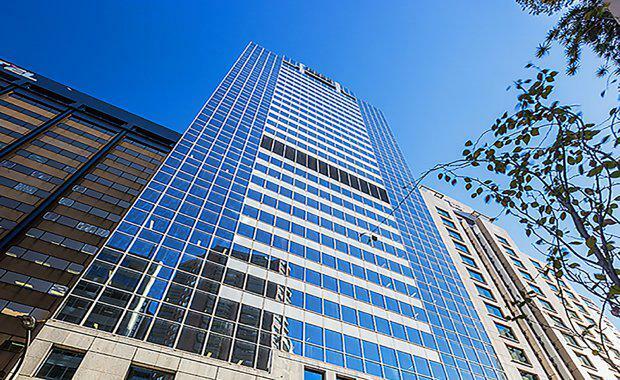 At 100 Mount Street, North Sydney, Dexus secured NBN across 20,364 square metres, the first major leasing deal at the project, since construction commenced in early 2016. As a result, the building is now 60 per cent pre-committed by area prior to its completion in early 2019. Works at 105 Phillip Street, Parramatta are on track with construction topping out in September 2017. In the industrial market, construction continues at seven properties located in Greystanes, NSW and Laverton North in Victoria with five properties 100 per cent pre-leased.